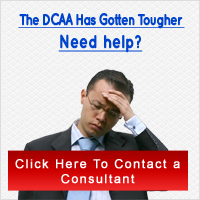 What is a DCAA Audit? Generally Accepted Government Auditing Standards can be found in the DCAA Contract Audit Manual. It is an instruction book for auditors who work on behalf the government. It discusses standards for auditing, how to plan for an audit, cost accounting standards, auditing of estimates and proposals, statistical sampling techniques for audits, who can obtain audit reports, how theyâ€™re distributed and what they should look like. Tags: audit Did you enjoy this article? Share it!